To learn the benefits of becoming an Acumatica channel partner, please schedule an appointment today! We know it’s not easy being a software channel partner. You’re trying to fill your portfolio with a broad enough array of products to meet every realistic client need. But the more products you add, the more time and resources you’ll have to invest in training your staff—and the lower your ROI from each vendor relationship. That’s why you should consider working with us. 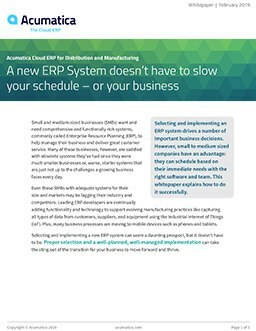 Acumatica Cloud ERP is designed to give your customers the powerful core ERP functionality and flexible technology they’re looking for—but without all the complexity of most ERP solutions. That could mean faster time to first sale, higher recurring revenues, and lower customer support fees for your business. But that’s not even the best of it. What’s the first thing you should know about becoming an Acumatica channel partner? We won’t compete with you. Ever. Get the full story. Why become an Acumatica channel partner? We won’t compete with you. Ever. We deliver serious cloud ERP functionality. You can extend our platform to delight your customers. You can deploy however your customers want. Your customers will be highly likely to renew. We’ll help you make that first sale quickly. We’ll support you as you grow your business. It’s easy to apply and get started. Join Acumatica, the award-winning vendor that invests as much into partners as its innovation! Schedule a brief introductory call with Mark Roodhouse and receive a FREE Starbucks gift card at the conclusion of your meeting. Acumatica has earned back to back CRN’s 5-Star rating Partner Program 2018 for 2 years straight! Acumatica has once again earned a 5-Star rating in CRN’s Partner Program Guide! This annual guide is the definitive listing of partner programs from technology vendors that provide products and services through the IT channel. The 5-Star Partner Program Guide rating recognizes an elite subset of companies that offer solution providers the best partnering elements in their channel programs. The 2018 Partner Program Guide offers the information solution providers need to evaluate IT vendors they work with or are considering working with. The guide is based on detailed applications submitted by over 270 vendors, outlining all aspects of their partner programs. Acumatica has once again earned a 5-Star rating in CRN’s Partner Program Guide 2018 for 2 years straight! CRN’S annual Cloud Partner Program Guide highlights vendors that recognize the importance of attracting solution providers that can navigate the ever-changing cloud landscape. Acumatica was included into CRN’s 2018 Cloud Computing Partner Program Guide (Cloud PPG)! 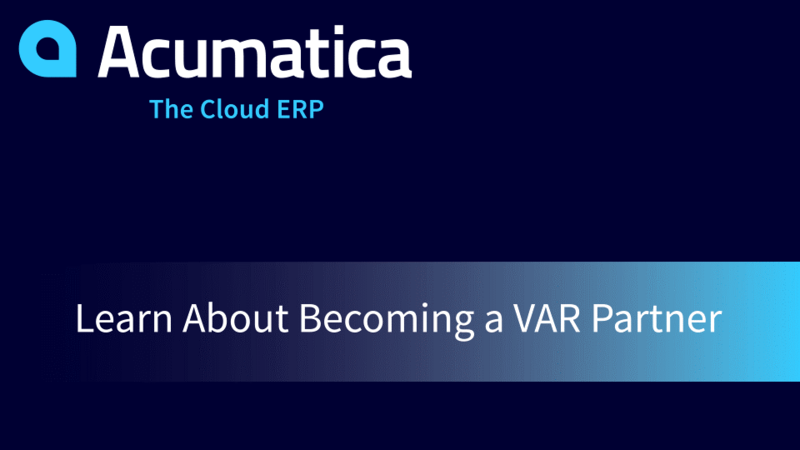 Tired of getting cut out of deals and competing with your current ERP vendor? Schedule a brief introductory call and receive a FREE Starbucks gift card at the conclusion of your meeting.